Born in Penglai county (Shantung Province) in 1888, Shifu Lo Kwon Yuk started training under Shifu Fan Xu Dong around 1908. Shifu Lo Kwon Yuk used to make and repair shoes for a living. The Shang Hai Central Jing Wu Sports Association wanted Shifu Fan Xu Dong as instructor because of all the endearing stories of how he was trouncing all comers. Shifu Fan Xu Dong turned down the offer, partially due to the fact that he was by this time in his eighties. Instead he sent Shifu Lo Kwon Yuk in his place, which arrived to Shang Hai (Jian Su Province) in 1919. Shifu Lo then had to beat the sort out of a lot of people in order to gain the same or at least comparable respect to his master. For example, in 1919 he won the Grand Championship in a fighting competition held in Shanghai. It is said to have practiced every form in the praying mantis system daily, Shifu Lo’s skill level in praying mantis was developed to a high degree. He taught for ten years within the Shang Hai Jing Wu Association, and Lo’s reputation was further enhanced when one of his students (Ma Cheng Xin) won in 1929 a fighting in Nanjing. Because of his fighting ability, Shifu Lo Kwon Yuk was called one of the three “Three major boxers of Jing Wu” (Shang Hai) and he became one of the “Four Super Lords” of the Jing Wu or Ching Mo Association (in Hong Kong). Around the early 1930’s, Shifu Lo was requested by the Hong Kong Jing Wu or Ching Mo Association to come to Hong Kong and teach, and from then on Seven Star Praying Mantis Kung Fu was then propagated to other parts of China besides Shan Dong Province. He was also the Chief Instructor of the Executive Committee of the Man Keung Athletic Association set up by his students in Hong Kong. After which he returned to Shan Dong Province. Shifu Lo had six children, 4 sons and 2 daughters and he mentioned that none of them have involvement with martial arts. However, according to Shifu Zhao Zhi Min, Shifu Lo Kwon Yuk had 5 sons and 1 daughter and one of his sons learned the mantis system, but he never took interest in teaching and did not follow in his father’s footsteps. Shifu Lo Kwon Yuk’s favorite fist set was Tang Lang Tou Tao (Praying Mantis Steals the Peach). This a hand set that is performed with quickness, and is excellent for developing fighting skills. Shifu Lo was also known for his ability with iron palm, and would only spar with his student using defensive actions. He feared his iron palm ability might accidentally injure someone. Northern praying mantis Kung Fu, as taught by Shifu Lo Kwon Yuk, is made up of the following branches of praying mantis: Qi Xing (Seven Star style), Mei Hua (Plum Flower style), Guang Bang (Shinny Board style) Chang Chuan (Long Fist style), and Fan Che (Chariot style). The style, as Lo Kwon Yuk taught it, is made up of 50% Qi Xing (Seven Star style), 30% Mei Hua (Plum Flower style), and 20% Guang Bang (Shinny Board style). The Shiny Board branch is the root of both the Long fist and Chariot branches. Each form teaches a different aspect and offers a different perspective to the Northern Praying Mantis System. Forms from each branch of praying mantis were adopted into the northern praying mantis system as taught by Lo Kwon Yuk. Each form teaches a somewhat different aspect of Northern Praying Mantis. If we compare the PRC forms against Shifu Lo ones, part of the reasoning why Shifu Lo changed the Mantis he was taught, may have been to make it more functional, more adaptable to actual combat and to combat against more current fighting systems that existed at that point in time. Shifu Fan Xu Dong was a big guy and did not depend upon lightening quick movements but rather upon the overwhelming strength he had in comparison to many of his opponents. Shifu Lo shortened the movements, raised the stances and made the forms match more of his personal fighting style. Other opinions say that Shifu Lo Kwon Yuk changed his Northern Praying Mantis because the other teachers at the Jing Wu Association influenced him. 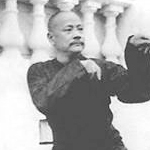 In fact, even today the Jing Wu form Gong Li Quan is taught as a basic mantis set in many schools and in some of the fist forms you will find some eagle claw techniques what would prove there was some cross training done while Shifu Lo Kwon Yuk was at Jing Wu or Ching Mo. Additionally, other Jing Wu or Ching Mo forms were adopted and added a mantis flavor, but the exact number of additions remains in debate. Not many people know that Shifu Lo was partially crippled in one leg and he did not favor low stances. Amongest his Kung Fu brothers he was not known as a forms man, rather he is regarded as a sanda specialist. Some masters claim this is the justification of the changes. But for whatever reason, it is acknowledged that Shifu Lo did install some changes to the Mantis he had been taught. Shifu Lo Kwon Yuk is arguably the most well known master in the Qi Xing Tang Lang history, the major reason he is so famous is because of his role in the Jing Wu association and the southern dissemination, and from there onto the rest of the world, of Tang Lang Quan. In 1944, Shifu Lo Kwon Yuk was going back to his home county in China to retire (with his two sons). While in this trip to Peng Lai he got sick and passed away being 56 years old. Master Lo Kwon Yuk taught Shifu Chen Zhen Yi and certified him and Shifu Chen Zhen Yi taught Shifu Liang Kam Yuen who taught Shifu Marquez.